Remove the battery tray. Refer to Battery Tray Replacement. Remove as much brake fluid out of brake fluid reservoir as possible. 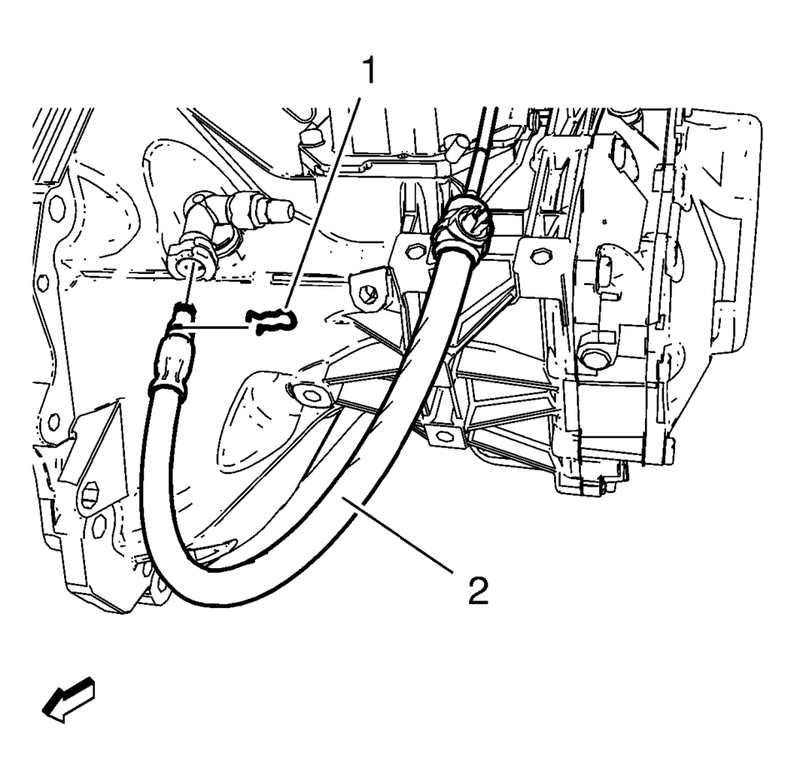 Unclip the clutch actuator cylinder front pipe from the 2 retainers (1). Remove the retaining clip (1). Disconnect clutch actuator cylinder front pipe (3) from the clutch master cylinder (2). 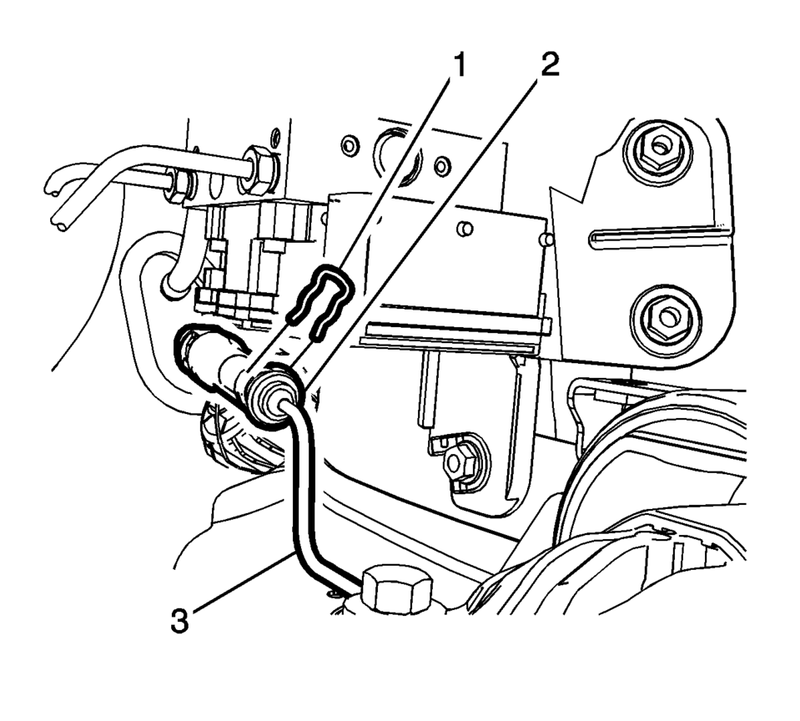 Disconnect the clutch actuator cylinder front pipe (2) from the clutch actuator cylinder pipe elbow. Remove the clutch actuator cylinder front pipe from the vehicle. Install the clutch actuator cylinder front pipe in the vehicle. Connect the clutch actuator cylinder front pipe (2) to the clutch actuator cylinder pipe elbow. Install the retaining clip (1). Connect clutch actuator cylinder front pipe (3) to the clutch master cylinder (2). 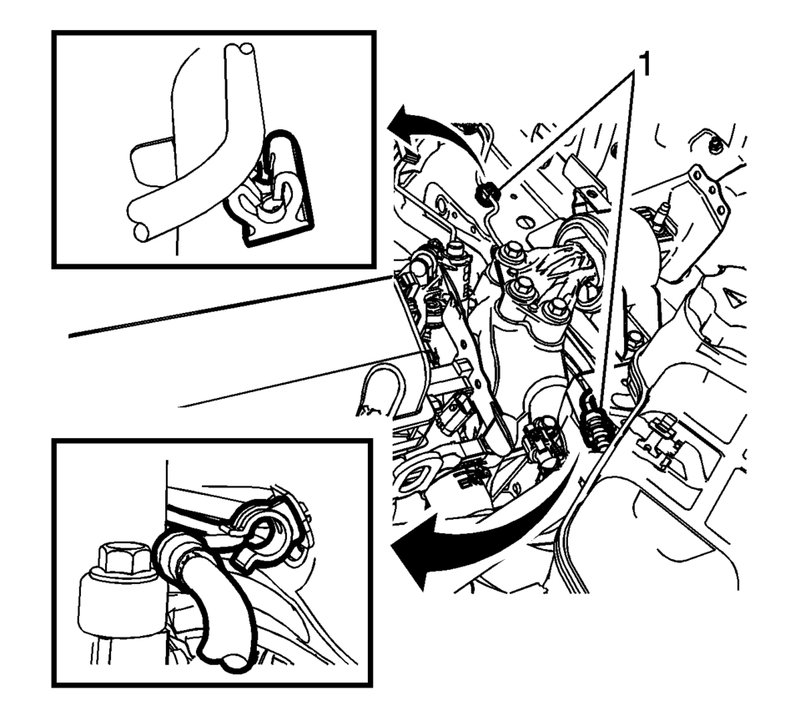 Clip the clutch actuator cylinder front pipe into the 2 retainers (1). Install the battery tray. Refer to Battery Tray Replacement. Bleed the hydraulic clutch system. Refer to Hydraulic Clutch System Bleeding. Fill the reservoir with GM approved brake fluid from a clean, sealed brake fluid container up to the MAX level.